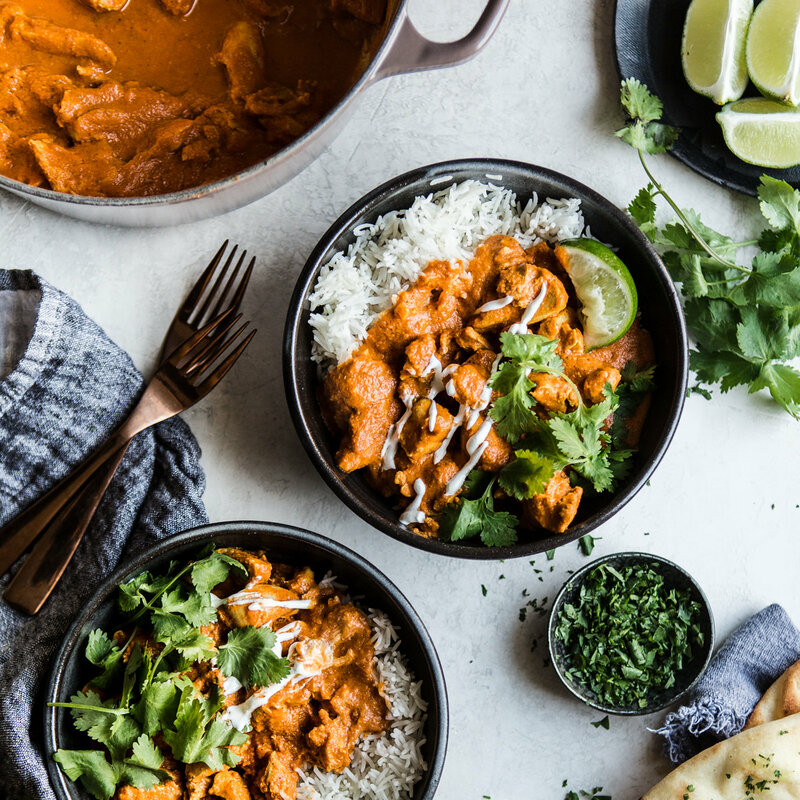 We partnered with Brummel & Brown to bring you delicious weekday recipes developed by us and members of the #feedfeed community using their Organic Spread made from plant-based oils and yogurt for a creamy consistency and butter like flavor with half the saturated fat. Need dinner STAT? Make this simple sheet pan salmon, which can be on the table in about 30 minutes! We roasted up some broccolini, onion and lemon, rubbed the salmon with paprika, and drizzled it all with Brummel and Brown's Organic Spread for a minimal fuss and flavor-full dinner! Below are recipes made by the #feedfeed community using Brummel and Brown's Organic Spread! Even though these beauties take about an hour in the oven, prep time is minimal! 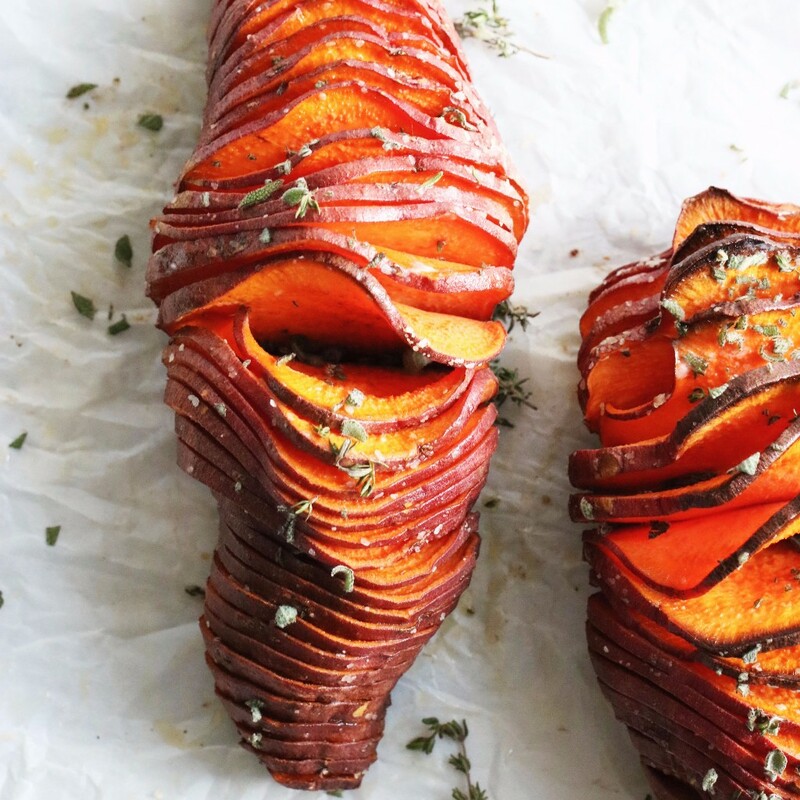 Lathered in Brummel and Brown's organic spread and topped with herbs, the star of the show here is a perfectly cooked sweet potato that's crisp on the outside and creamy on the inside. 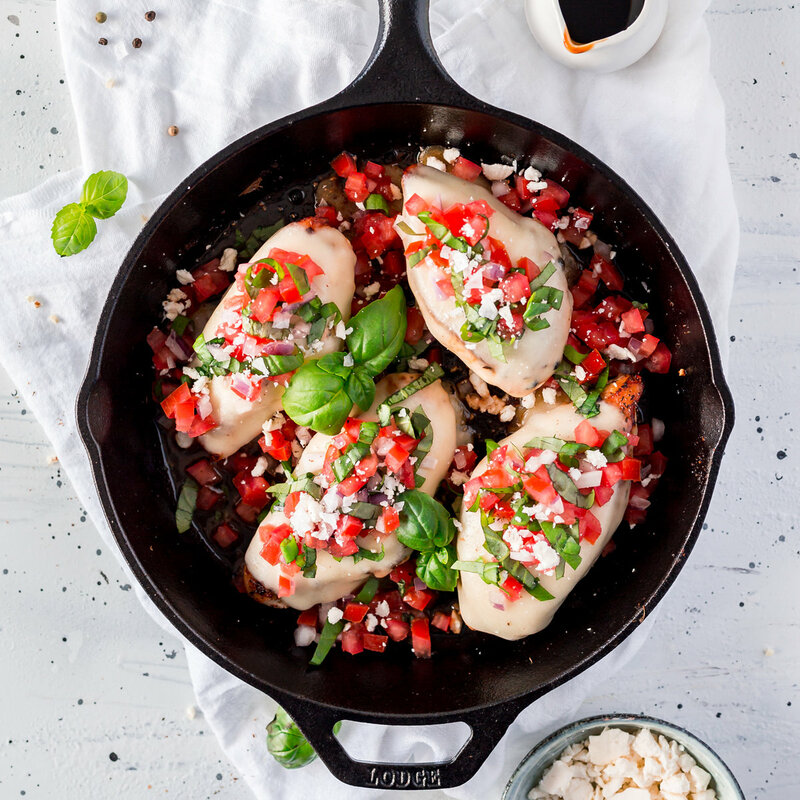 A chicken dinner made in under 30 minutes with just one pan to clean afterward - do we need to say anything else? 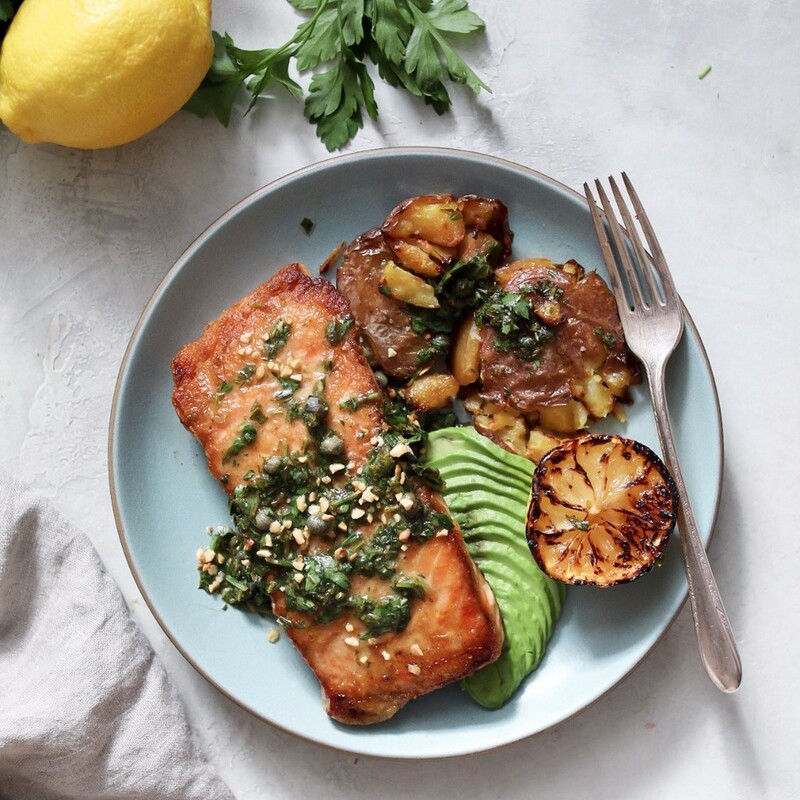 When we don't have much time to get dinner together, salmon is our go to source of protein. This dish comes together in 20 minutes! Plus you can make extra gremolata to keep in the fridge for topping meals all week long! 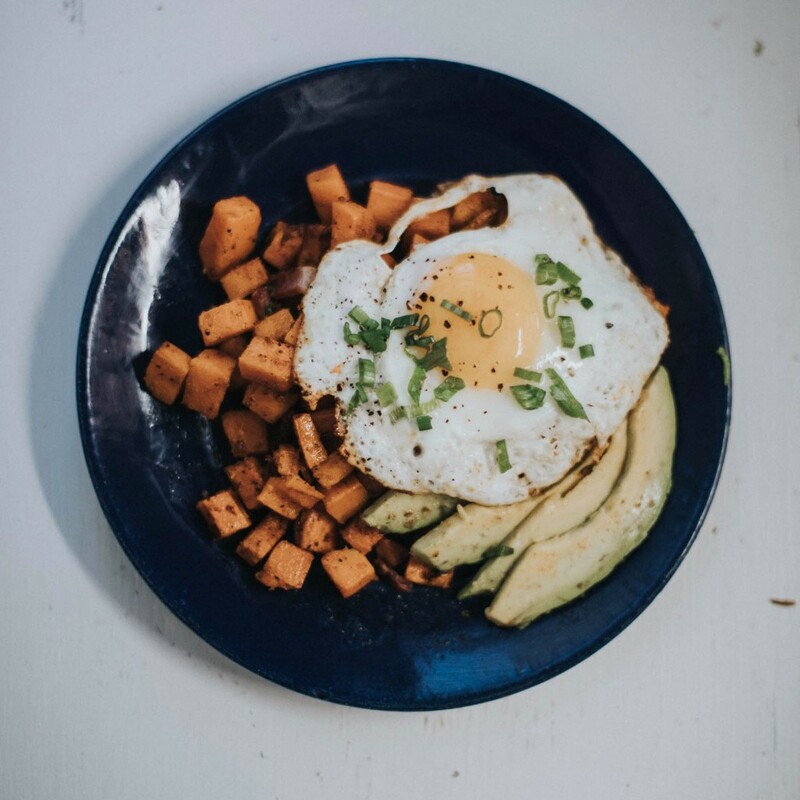 Think home fries, but made with sweet potatoes and topped with a fried egg. This dish may seem like it belongs on your brunch menu (because it does), but we think it's also weekday appropriate if you have a few minutes to spare! Okay so technically there is no butter in this dish, only Brummel and Brown's organic spread, but trust us you cannot tell the difference. Marinate the chicken a few hours ahead, and then let simmer away in the classic sauce.